This serum is often bought by 2 items at once. And all because the ten-percent niacinamide is very rare and quickly bought up. Before the release of this serum, such a high percentage of Niacinamide was available only in Paula's Choice Booster (which is 4 times more expensive), and about 3-4 products contained 5% Niacinamide. Let's see why Niacinamide is so valuable and whether your skin needs it. What I did not expect: wow-effect. Niacinamide acts imperceptibly and slowly, but surely. Gradually, it will regulate the oily skin and increase the elasticity. You will not see the instant result in the mirror - this is a contribution to the future. Note! Acidic forms of vitamin C destroy Niacinamide. At the same time, stable non-acidic forms (for example, Ascorbyl Tetraisopalmitate or L-Ascorbic Acid) can be applied simultaneously. In general, Niacinamide should not be combined with very acidic (pH below 4) or alkaline (pH above 7) products. But in general, it perfectly interacts with all the ingredients. The serum itself is whitish, slightly opalescent, gel consistency. Some write about an unpleasant smell, I do not consider it as such. It seems to me that it smells like yeast, but just a little bit. 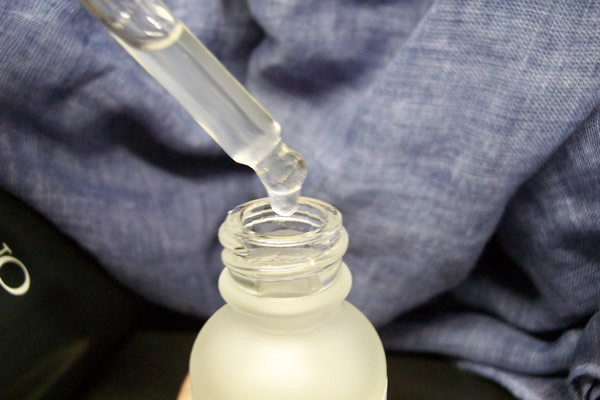 The serum is slippery due to the content of gelling agents. On the skin it spreads easily, dries quickly. After applying the face a little "tightens", you can feel a barely noticeable layer that is completely absorbed in 5-7 minutes. The consumption is very moderate: in two months it took me a little more than half a bottle when applied once a day. 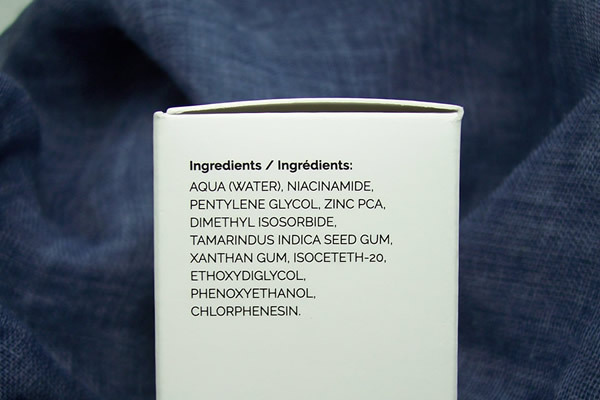 The main ingredient is Niacinamide. The manufacturer claims that it is at least 10%. Pentylene Glycol -- solvent, moisturizer. Zinc PCA is the second active ingredient in this serum, the content of which is 1%. Zinc salt of pyrrolidone-carboxylic acid acts as an enzyme regulator, suppresses AP-1 -- the promoter of collagenase production (responsible for the appearance of wrinkles), regulates sebum secretion and bacterial flora (preventing the formation of acne and comedones), has a healing and antiseptic effect, minimize pores and soothes the skin, reduces redness and irritation, helps maintain a matte complexion. Not mutagenic, does not irritate the skin, may slightly irritate the eyes. As part of the natural moisturizing factor (NMF), it has excellent skin tolerance. Tamarindus Indica Seed Gum -- antioxidant, moisturizer, improves skin elasticity. Carrageenan -- gelling agent, thickener, derived from red seaweed. Retains moisture, softens skin. Acacia Senegal Gum -- natural hydrocolloid polysaccharide, has a water-holding capacity. In synergy with Carrageenan and xanthan forms stable gels. Xanthan Gum -- gelling agent, thickener, film former with moisture-holding functions. Cocoyl Proline -- this solubilizer completely replaces the surfactants commonly used in cosmetic products. Certified by Ecocert. Ethoxydiglycol -- enhancer, promotes penetration of active ingredients through the stratum corneum. Even at first glance it is clear that the composition is cool. Serum moisturizes, heals inflammation, soothes, works in the anti-age direction, whitens, balances the skin. Another plus is that this serum is suitable for sensitive skin and even strengthens its immunity. At first I applied the serum in the morning, but in vain. Firstly, Niacinamide is destroyed by light, and secondly, according to my personal observations, at night it gives the best results, at least on my skin. Serum does not roll off, does not form white flakes, does not leave marks. Three to four drops is enough for my face and neck, I just need to quickly distribute the serum with quick movements. After that, I applied a moisturizer, as I am in a room with a humidity of 25% (convection heaters are to blame). Sometimes I applied a foundation or concealer - and did not observe any conflicts. In summer, the serum works perfectly solo, does not overload the skin, the face does not get oily at all. At first I was a little nervous about the high concentration of Niacinamide - I have very sensitive skin, prone to allergic reactions. But nothing terrible happened, neither redness nor the slightest irritation. A month later, I transferred the serum to the evening care, which also includes tretinoin. I saw the result almost immediately - green spots appeared on my face. I was ready for this - this is a normal reaction, which means that the pigment starts to go away. Thus, I continued and after about a week the “greens” came off, the skin acquired a healthy, joyful look. When tretinoin (or retinol) is applied, I usually get several small spots, always on the same places. It can be seen that they are located deep, this is not a superficial irritation. 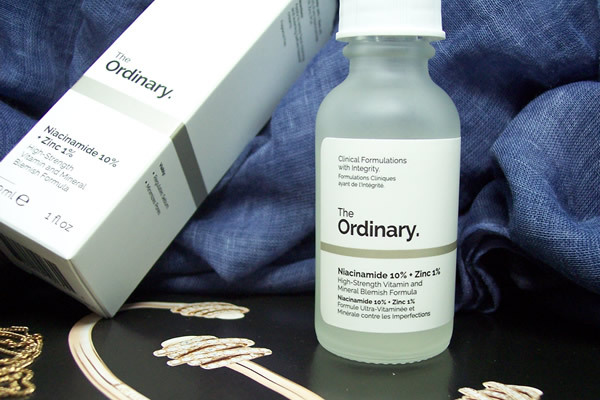 When applied for the first time, The Ordinary Niacinamide slightly brightened these spots, and later they completely disappeared. Previous Niacinamide serum could not cope with this problem. Note! Niacinamide (even in high concentration) can be used all year round, but it can be destroyed in the light, so you need to protect it with SPF products. Before that, I used InstaNatural serum, which also contains Niacinamide. 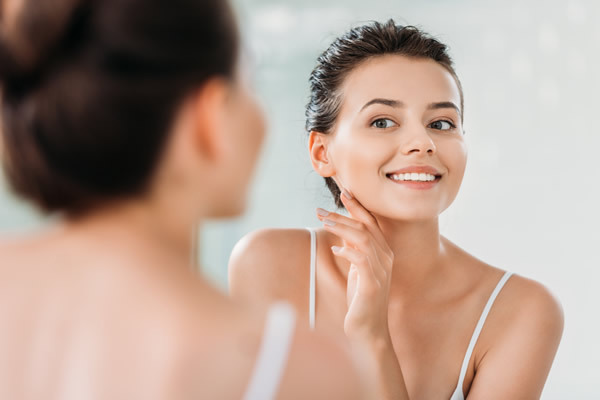 It did not have a noticeable effect on the pigment, but I accustomed the skin to Niacinamide and reduced the number of stubborn subcutaneous pimples. 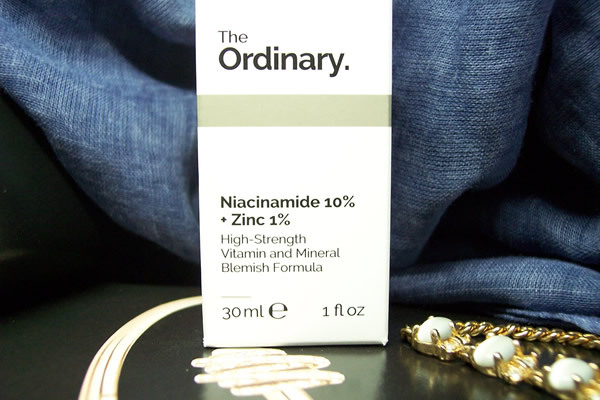 But The Ordinary Niacinamide 10% + Zinc 1% had a clear effect on the "control" pigment spot: it decreased in size and turned pale, although it did not disappear completely. I want to note that hyperpigmentation is a stubborn thing. There are many reasons for its occurrence and they are different. To find out the reasons of your pigmentation, you need to contact a specialist. For example, you cannot remove “liver” stains with serum alone, you need an integrated approach. 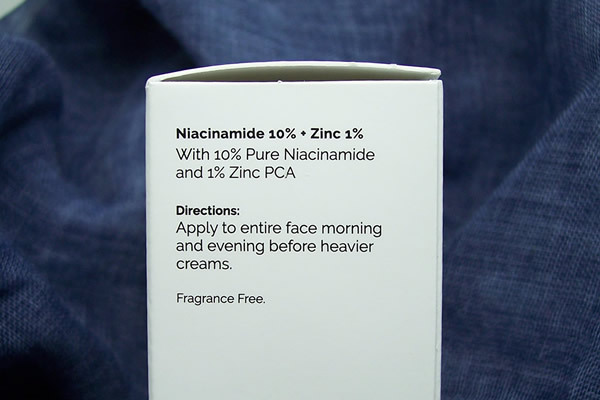 In addition, it must be remembered that the effect of Niacinamide is highly dependent on dose and regularity. The dose in this serum is excellent, but you need to use it regularly, every day for 2 months, otherwise there will be no effect. I read many times that when applying Niacinamide serum on the skin, this one in particular, the girls experienced a feeling of heat, tingling, and their skin was reddened and heated. This tingling sensation may occur if the skin is damaged and there are some micro-inflammations, for example, after peeling. There should be no burning or redness on a completely healthy skin. I can not fully appreciate the effects of zinc on the skin, because I do not have acne or acne scars. But one day I suddenly had a strong skin reaction to vitamin C and I was covered with inflammation, after which there were spots. This serum helped speed healing and the spots disappeared very soon. At first I was afraid that zinc will dry my already thin dry skin, but this did not happen. Just in case, I carefully apply the serum on the area around the eyes, leaving a sufficient distance, and never apply it on a mobile eyelid. Has sebum production decreased? Definitely, yes -- the pores are no longer clogged by sebum, which makes the skin relief even. The biggest plus for me - very stubborn closed comedos have disappeared. I am very satisfied with this serum and I definitely plan to repeat it at least twice a year. The only negative for me personally is that I don’t like a lot of gelling agents (carrageenan would be enough), but the manufacturer claims that they are necessary for maintaining zinc activity. Real results after 2 months: the skin became smooth, as after peeling, the pores tightened a little, and the pigment became less noticeable. And, of course, I believe that using working, scientifically proven ingredients (Niacinamide is among the top five anti-age components, along with retinoids, vitamin C, peptides and acids), I prolong the skin's youthfulness. Also known as: 3-pyridinecarboxamide, nicotinamide, vitamin РР (Pellagra-Preventive), vitamin В3. The substance is an odorless white crystalline powder. Niacinamide is among the top five important ingredients for the skin, regardless of its condition -- dry, oily, acne prone, aging. It is a safe, non-irritating ingredient. In cosmetics, it acts in different roles -- as a vitamin, antioxidant, sedative, protective agent and regulator of cellular metabolism. Improves the solubility of parabens in water and reduces their penetration into the skin. For me, Niacinamide was just the discovery of the year. With it, my skin has become very smooth, even, without inflammation and small pimples, and in general the skin looks fresher and cleaner. Hyperpigmentation is my big problem, and I can safely say that Niacinamide helps to fight it. True, you need to use it for a long time, and best of all - constantly. 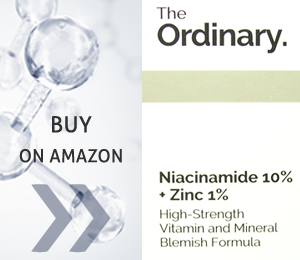 The effectiveness of Niacinamide is highly dose dependent -- it must be at least 5%. If pigment spots were caused by internal causes, then after the abolition of Niacinamide, they gradually begin to darken again. The main property of Niacinamide is participation in the microcirculation. Niacinamide by itself does not remove the oil from the face, it regulates the balance in general, that is, it turns oily skin into normal, and normalizes dry skin. To reduce the severity of acne requires at least 4% Niacinamide and daily use for 8-12 weeks. Niacinamide does not treat acne directly, but helps to make acne scars less visible or even get rid of them. However, to get rid of acne, you will need special products. Usually cream and serum with Niacinamide contain it not more than 2%, while in the composition it is listed on the 2-3 place. This is quite enough to restore the protective properties of the skin. The course of use is 1 month. After that, you need to take a break for 2 months. The most important rule when using Niacinamide is regularity. If you apply Niacinamide twice a week or every other day, you will not get the desired result. Use it every day for a month or two, or even better -- twice a day.